Sometimes there are five star books that change your world and make you cry and move you so much you think nothing could ever be compared to it. Then there are other five star books like this that are just so so well written, not always complicated or deep, but just with such beauty and honesty and with characters that are so amazing and sincere and complicated that you fall in love with them immediately. You get absorbed into their story and their life and while there aren’t life changing moments or anything too grand that makes you get overly excited, you just get attached in the beauty of the basics and a good, proper, well written story. And if that experience is going to happen to you then it is definitely going to happen with one of Neil Gaiman’s. This type of reaction isn’t limited to Gaiman or The Graveyard Book, there have been many books that have such complex simplicities that they are just wonderful reads without needing to be grand, but it is especially wonderful when it is compacted into a supposedly simple “children’s book”. 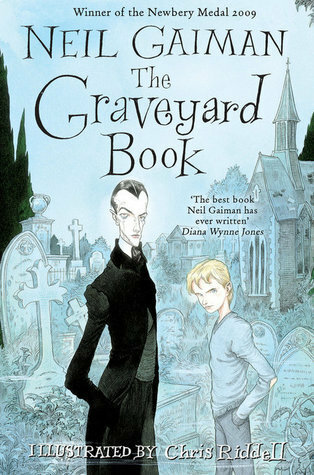 The Graveyard Book opens with a few different perspectives given; including a very clever second person point of view from the baby which blends back into third person seamlessly, and it is also a rather dark start but one that doesn’t address or dwell too much on the darker elements. We start almost in the middle of a scene with the man Jack, one we get almost no explanation for and as story unfolds we are thrust into this strange set of circumstances and we are introduced to the graveyard and a few residents through the events that unfold. While the beginning is slightly dark and strange and…not confusing but with a few omissions that make you feel like you’re missing something, it actually fills in nicely as it starts to fall into place. What was great about this story is that we are shown not told in many instances and scenes and characters are brought to life (no pun intended) allowing you to capture each character and who they are not just from how their described, but how they are portrayed in their actions. Gaiman tells us a lot about his characters through their actions and how others see them which in turn reflect how they are seen by us. Adopted baby Bod’s life in the graveyard is aided by his new ghost parents Mr and Mrs Owens as well as Bod’s guardian, Silas, who looks out for Bod and provides for him where the other ghosts cannot. Bod loves his parents certainly, but Silas is someone he looks up to and reveres. The admiration small children can have for an adult is truly wonderful and Gaiman captures it well. Silas is someone who Bod admires for his skills, his knowledge, his secrets, and he is someone in Bod’s life that he never wants to let down or disappoint. Their relationship is one of the highlights in the story, and while Bod’s view shifts as he gets older, it never strays far from the wonder and admiration he had a child. So much of Bod’s story is written beautifully, not just the events he experiences but as a person. As a character he is very confident, he speaks his mind, and he speaks wisdom far above his age. He is a smart kid considering how he has been raised, he has a great manner and he deals with people and conflict well. He offers lessons to readers as well as those around him, and he isn’t afraid to stand up for what he feels is right or what he wants. Bod grows up through the chapters and often as they change we have moved forward in time. The story does move away from Bod’s life on occasion and we’re shown other events away from the graveyard. These extras allow for story progression and occasionally provide additional information but we mainly follow Bod through his life. You see his life in the graveyard and you see the adventurous and amazing experiences he has there as well as watching him learn about the world around him and the ways of the graveyard. You also see his occasional struggle as he desires to escape and venture into the world beyond the graveyard gates. These moments are when we see the great character in Bod and how even when things are not going well, his emotions and nature shines through excellently. As a human he does well in his constricted world. There is a point at the start where you think there shall be limitations but Gaiman works it through wonderfully. We do not get the full history of Bod’s circumstances straight away but that isn’t a problem. As you read you get involved in what is happening that you forget that there is a reason Bod is living in the graveyard, you get caught up in his little life and you forget that someone is hunting him. In terms of the “threat” I have read some criticism about the man Jack and his reason for hunting Bod, and without giving anything away I think that the reasoning suits the story and intended audience well, it is actually rather clever and very well done. When it is revealed, Gaiman writes about it and surrounding events brilliantly, it is clever and mysterious and you have no idea what is going to happen and it is a great moment of suspense to read. That is not the problem though, the issue I think people see is the overall reason why it happened, whether they feel it is too basic, perhaps, but given the intended audience it is ample. Besides a lot is implied through other aspects to warrant the reader to figure out what the man Jack is part of and who he is. But what I take from this is that we are not there to necessarily follow the man Jack, we are there for Bod and Bod’s life. Yes his life is as a result of the man Jack and it is an ongoing problem, but we aren’t pulled along by the mystery of the man Jack, we are pulled along by Bod and really it is all you need. I think that even if we knew the reason from the first page I believe we could have the same story and it would be just as exquisite. It took me a couple of chapters to realise that Bod has appeared before. Last year I read M is for Magic by Gaiman and it was an excellent book, ten short stories that were all wonderful and sad and haunting. As I read The Graveyard Book and I realises that our dear Bod is none other than the delightful Bod who appeared in one of those short stories. I remember how much that short story unsettled me and was just so sweet but eerie, and now that it has been turned into a complete book made the whole experience better and it is a truly amazing story. The ending alone is wonderful, and probably works so well because it has been built up brilliantly beforehand with each of the characters and their lives. The way Gaiman ends this story is wonderful, absolutely heartbreaking and beautiful and just perfect, it was the right way to finish the story I think. There are different avenues Gaiman could have taken but he didn’t, and there is an excellent feeling as you finish the book of sadness and happiness and hope. 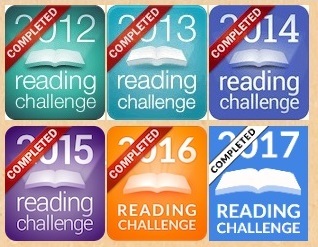 In a way it is almost a sense of ambivalence, but it is also rather bittersweet and it stays with you even after you’ve finished. All the excellent things books should make you feel. Previous The Tenth Hero by Barry Klemm Next Happy Birthday Banjo Paterson!